A Year of Being Here: Richard Schiffman: "Gray Scale"
like the bad side of a mirror. but the shades of grays. to bust out of its straight-jacket. And shine. Which the sun very nearly does. But in the end, it can’t be bothered. to the sea-light of his youth. Sews the ear back on. this almost-shimmer on a river. "Gray Scale" by Richard Schiffman. Text as published in Grey Sparrow Journal (Summer 2014). Presented here by poet submission. 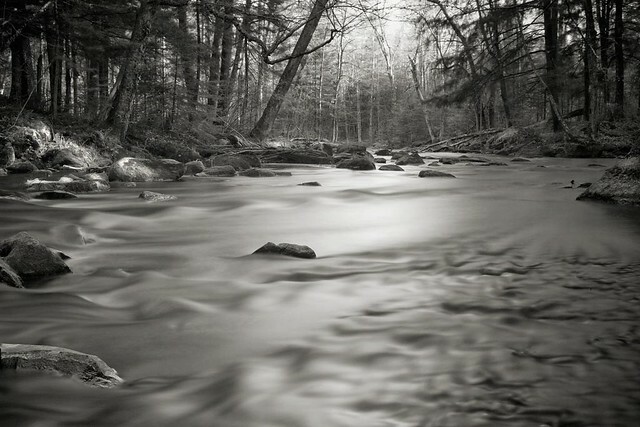 Art credit: "The river in black and white," photograph taken on May 1, 2010, by R Casey.